AYF partnered with Arizona State Sun Devils athletics for an incredible Football & Cheer clinic for all Phoenix AYF Conference athletes. This clinic, FREE to all registered Chandler AYF athletes, took them through skills and practice with hands on coaching from the Arizona State Sun Devils Football Coaching Staff and Team. Huge thanks to ASU Football Head Coach Todd Graham, his entire staff, and the players who were on-site. 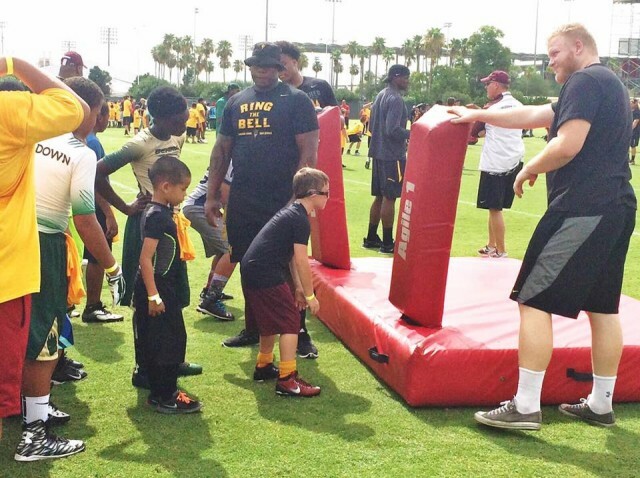 Don't miss the next AYF / ASU Football & Cheer Clinic as it is a huge hit!